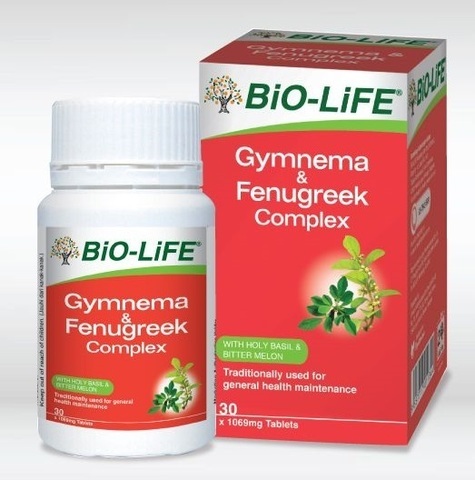 Gymnema & Fenugreek Complex contains 4 natural herbs, gymnema, fenugreek, holy basil and bitter melon indicated for general health maintenance. Fenugreek (Trigonella foenum-graecum) is one of the oldest medicinal plants, originating in India and Northern Africa. It has been used as a cooking spice, flavoring agent and a medicinal agent. Holy basil (Ocimum tenuiflorum or Ocimum sanctum) is a traditional medicinal plant widely known across South Asia and it is commonly used in Ayurvedic medicines. Bitter melon (Momordica charantia), also known as bitter guard, is a vegetable cultivated in tropical areas, including India, Asia and South America. Bitter melon contains several chemical constituents such as charantin. It is traditionally used for maintaining health. 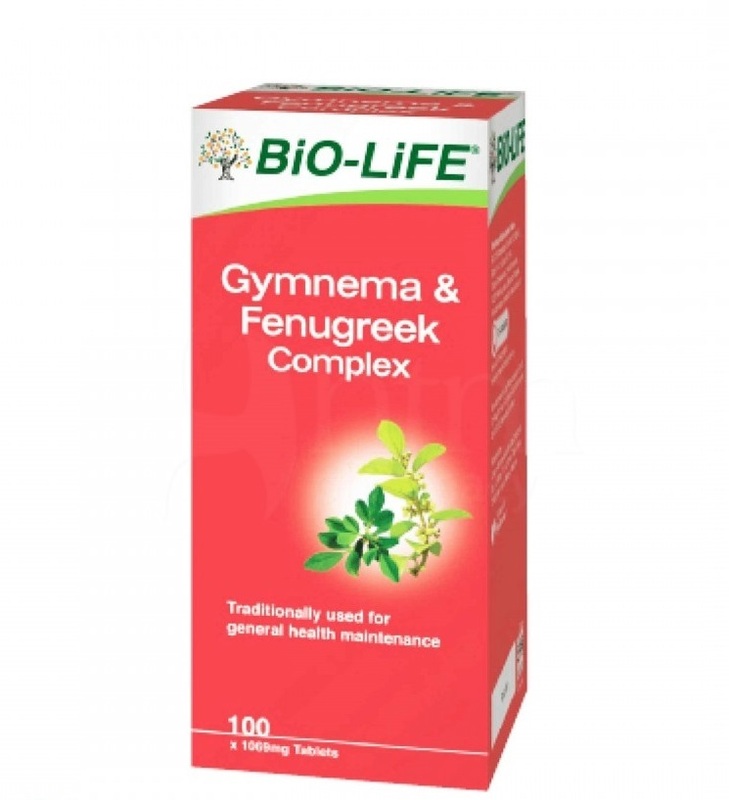 How does Gymnema & Fenugreek Complex helps in maintaining joint health? Gymnema contains gymnemic acids that aids in maintaining health body. Who needs Gymnema & Fenugreek Complex? People who are on an unhealthy diet. Adults: One tablet 3 times daily with food or as recommended by your physician. What makes Gymnema & Fenugreek Complex unique? Not to be taken by pregnant or lactating mothers. Herbs such as ginkgo or hypoglycemic medication as it may cause hypoglycemia. Anti-coagulant drugs such as warfarin due to blood thinning effects. Patients should monitor blood sugar levels regularly and consult their physicians before altering dosage.